This week we've updated four agent profiles in our database, mainly for genres, and added one new agent. Please make sure you double-check every agent's website or Publisher's Marketplace page before sending your query. Smashwords and Overdrive make a distribution deal. 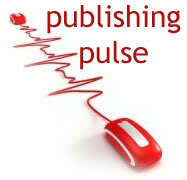 Publisher's Weekly asks if the agency model will survive. Amazon appears to be playing hardball with Hachette. Plus, Amazon and Bonnier seem to be having issues. A thoughtful discussion about books and prisons. Should we put trigger warnings on classic books? One self-published author recalls her success: Three years, 300,000 books sold. How editors go about making an offer on your book. Small publishers in the age of the digital book. John Greene and building a passionate audience. A YA librarian gets fed up with the mass media's misconceptions about YA. We all have them: those moments when a writer feels lost in the woods. Jane Lebak is the author ofThe Wrong Enemy . She has four kids, three cats, two books in print, and one husband. She lives in the Swamp and spends her time either writing books or shoveling snow. At Seven Angels, Four Kids, One Family, she blogs about what happens when a distracted daydreamer and a gamer geek attempt to raise four kids. If you want to make her rich and famous, please contact the riveting Roseanne Wells of the Jennifer DeChiara Literary Agency.